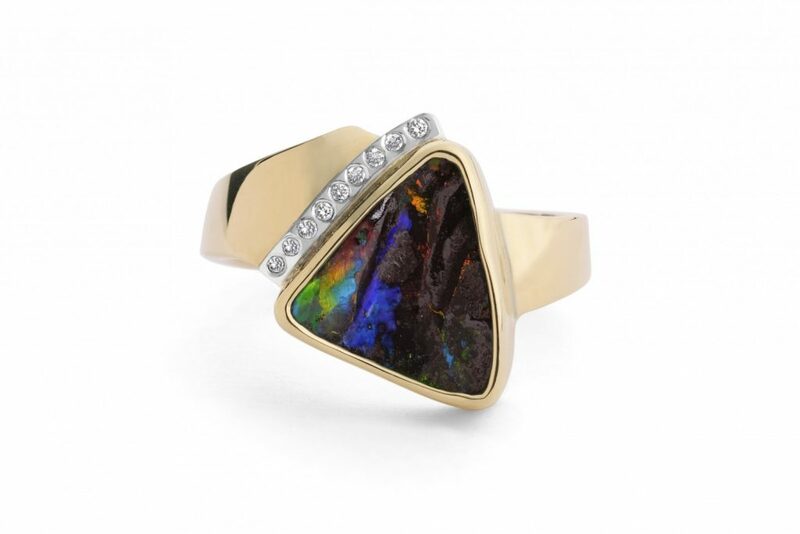 David uses the finest Australian Boulder Opal from Queensland and New South Wales. 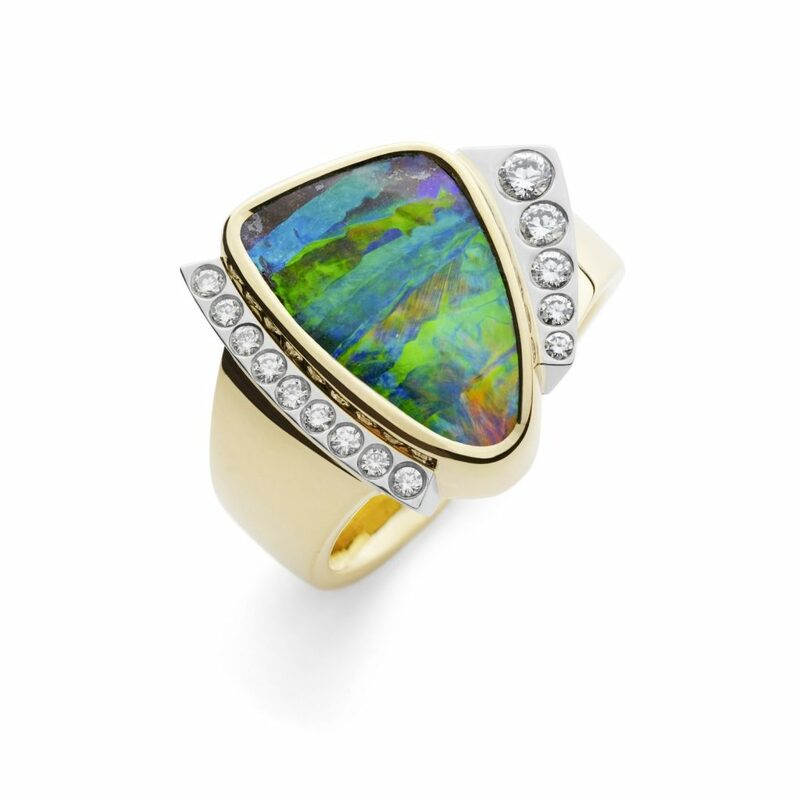 The opals hand selected by David offer an endless variety and intensity of colour. 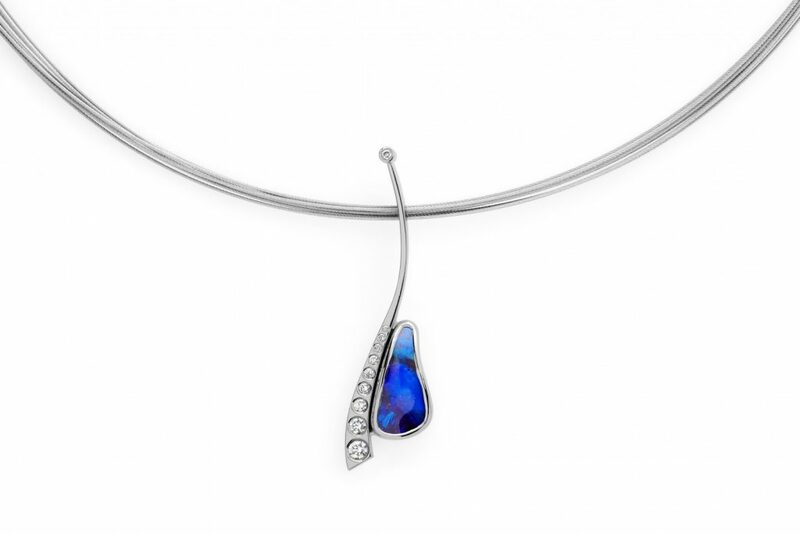 In contrast with our faceted work, the opals are organic and fluid. Similarly to all other pieces created by David, no two pieces are the same. Australian Boulder Opal is natures glue, occurring naturally within rock. It is an enigma: it is so thin, yet so deep in colour and interest. 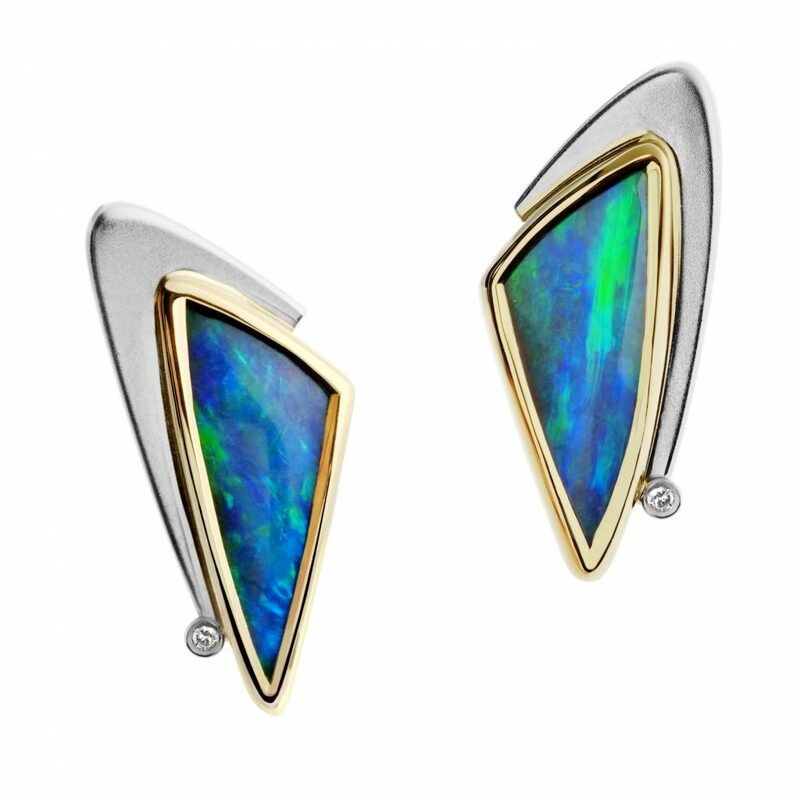 David is sensitive to colour ways and contours of each individual piece of opal, and his designs emerge as he develops an understanding of each individual opal. Opal is viewed by some as bringing bad luck, or being overly fragile. 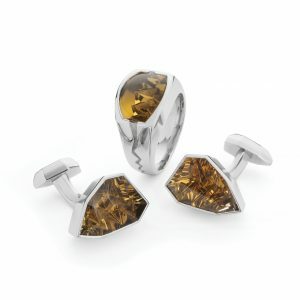 We know that it is a fabulous stone to use in jewellery, and can be worn with confidence when the wearer has an understanding of the nuances of this beautiful material. A pair of Australian Boulder Opal gemstones totalling 5.0ct set in 18ct yellow gold, with 18ct white gold arms. 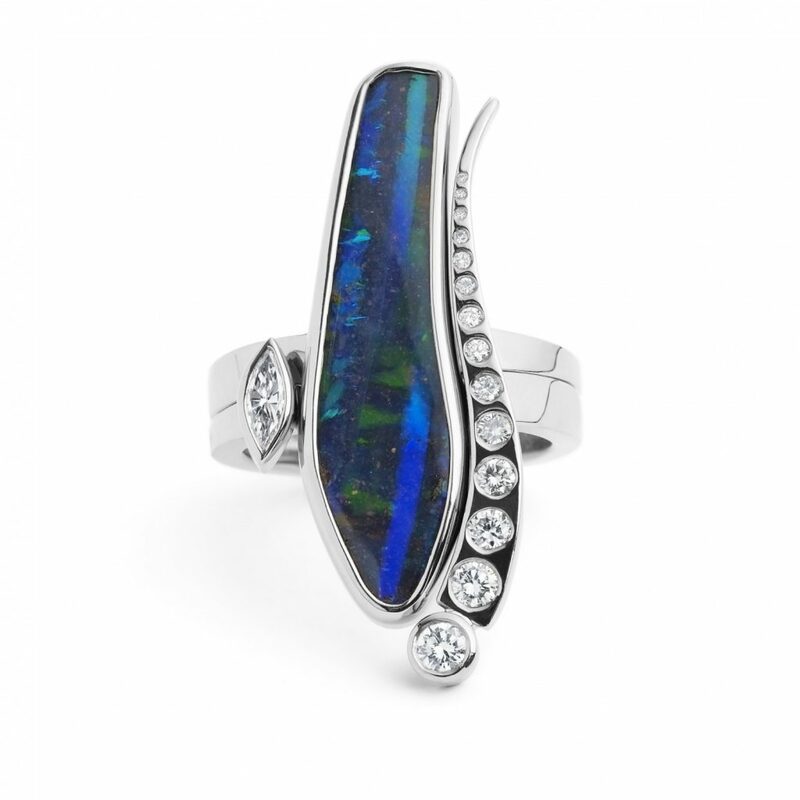 A 2.19ct Boulder Opal set in 18ct white gold, with a run of ten diamonds totalling 0.212ct. A 1.84ct Boulder Opal set in 18ct yellow gold, with a run of nine, 1.4mm diamonds (0.1125ct) set in 18ct white gold. 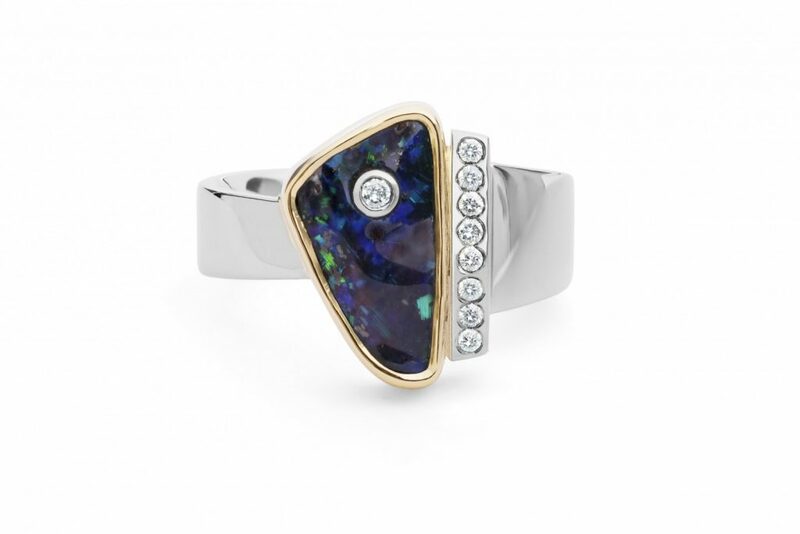 On one ring, a 7.91ct Boulder Opal is set in 18ct white gold. 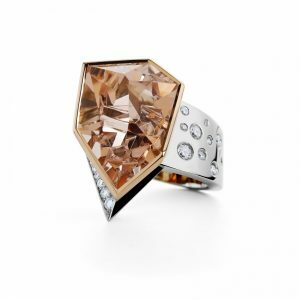 The second ring, which interlocks with the opal, incorporates a run of diamonds including one 3.0mm round brilliant diamond and thirteen 2.7mm round brilliant diamonds (totalling 0.275ct), and a 0.19ct marquise diamond. They are all set in 18ct white gold. 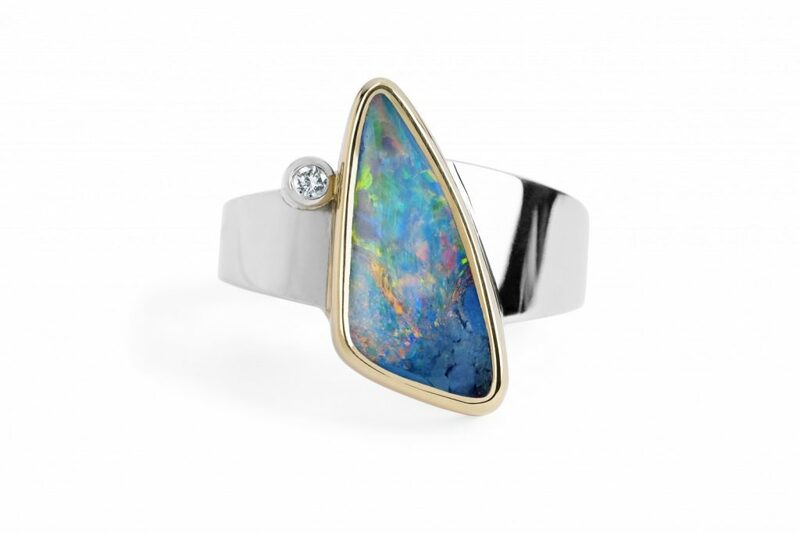 A 4.22ct Australian Boulder Opal set in 18ct yellow gold, on an 18ct white gold shank. A single, 0.05ct round brilliant feature diamond is set in 18ct white gold. 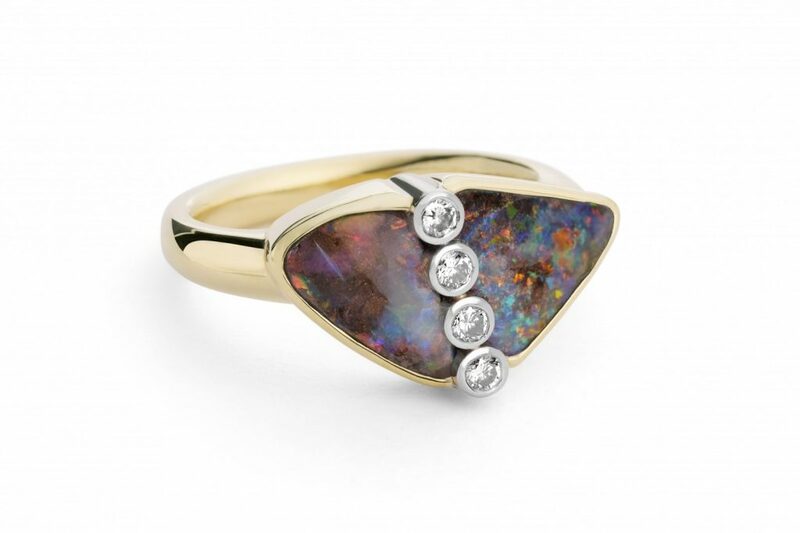 A 6.92ct Boulder Opal set in 18ct rose gold, on an 18ct white gold shank. The shank incorporates 11 diamonds totalling 0.12ct. 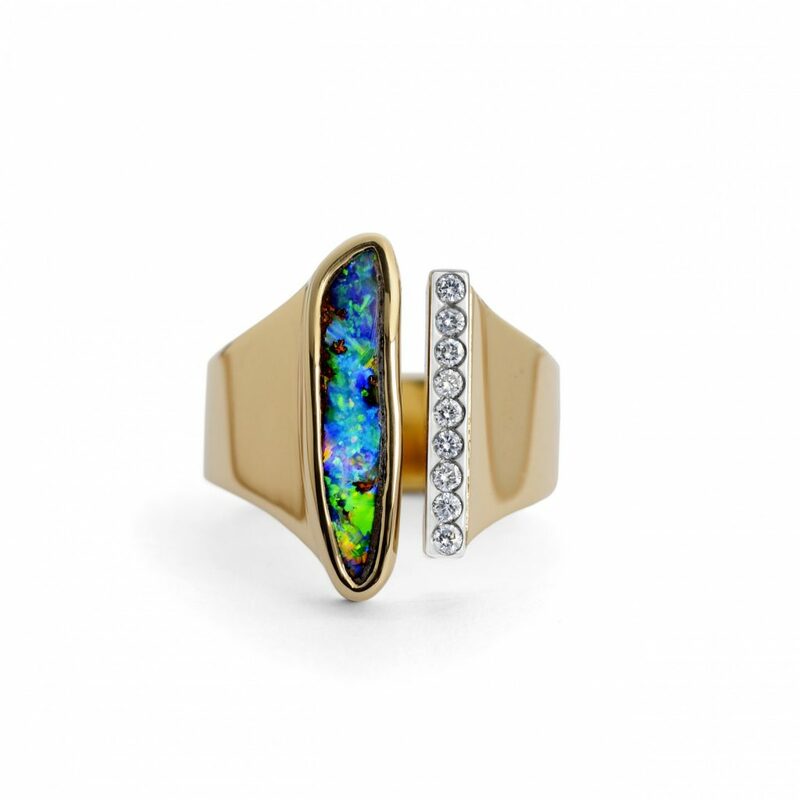 A 7.8ct Boulder Opal is set in 18ct yellow gold, with 14 white diamonds totalling 0.32ct set in 18ct white gold. This item has been sold. 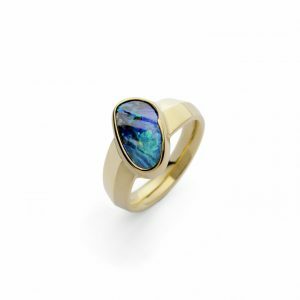 A 3.50ct Australian Boulder Opal, set in 18ct yellow gold. Four white diamonds totalling 0.12ct are collet set in 18ct white gold tubes. 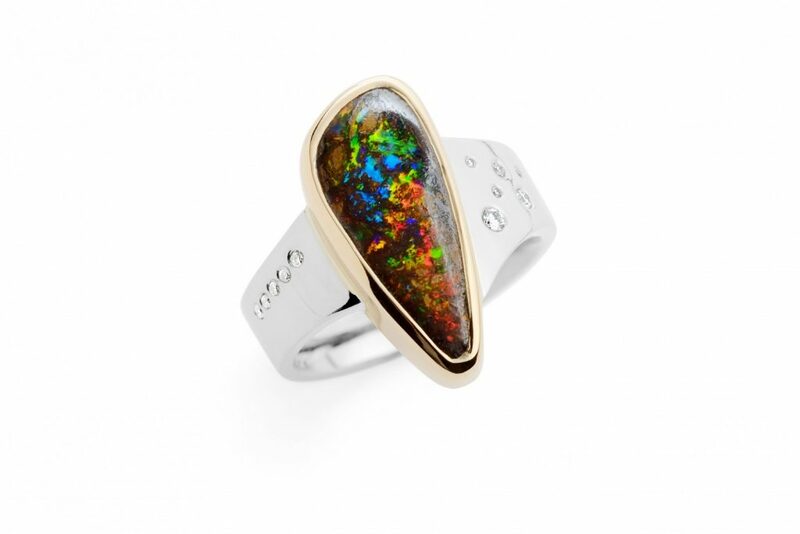 A 2.87ct Australian Boulder Opal set in 18ct yellow gold, on an 18ct white gold shank. One white diamond is set within the opal in an 18ct white gold tube. A further eight white diamonds are set in 18ct white gold.